This is the transcript of a long conversation. Here is a summary of what we discussed. Annie’s conversation with Jessica starts at 03:26 minutes, please add 3’26” to the time stamps listed below. Bonjour Jessica and welcome to Join Us in France! Bonjour Annie, thank you for having me on. It’s so nice to talk to you. You you. I noticed you because your photos on Facebook was so different from what people usually post and we will record an episode about photography that will air next week. But this week I want to talk to you about your vacation in France. You spent two weeks in France with your children. So tell us a little bit about your family. So I have my husband Mark. And then we have two children. My daughter is nine and my son is six. And this was not my husband and I’s first time to France. But it was my first it was the first time for my kids. To France and to Europe. Right. And you speak French as well. I do speak French. I was in French immersion school here ever since kindergarten. And I continued on right through till University and lived in France for a year during my studies, so. Oh, yeah. So you’re quite fluent. I don’t speak it day to day here in Toronto. But I I realize now that my kids are also in French immersion, that I haven’t lost it because I can help them with their homework. And it’s all coming back. That’s good. Congratulations. Yeah, that’s that’s a common complaint that people say, you know, I used to speak good French and then I lost it. So it’s good. It’s good. No, it’s there. It doesn’t it? I mean, I think because I took it for 18 years or something like that. It’s somehow forced itself to, to stay buried in my brain. That’s great. So. So since you had been to France a few times before, did it make any difference, like going to France after you started listening to the podcast? Did I mean to people like you who know France, who speak French, I sometimes wonder if the podcast is helpful or not, is what I’m saying. So that’s a great question. It was super helpful. And I discovered the podcast maybe a month before we were going. And so while we had planned out generally, where we were going to be going, and we booked our accommodation, I, I hadn’t been to France since the year 2000. So it had been a while, and I had never been with my family. And so I particularly found the episodes about, you know, the family. Family trips useful. But I also found things about booking tickets. I mean, if you can, you know, in the year 2000, we had, I didn’t travel with a cell phone. I mean, I had, there was computers and I had email and stuff like that. But I didn’t have a compute personal computer. And you didn’t research a trip the same way. So, I found it very useful. You know, the, the episodes on safety and, you know, traveling and Paris. It really was helpful. Oh, that’s good. That’s good. I’m glad to hear that. Yeah. Because it’s true that between 2000 and 2018, your trip was in 2018, or 2017? It was it was just a few weeks ago. It was in 2018. Very good. Okay. So tell us what was what were your favorite things? What was what were the things that you recommend to other people? So maybe I’ll start, we traveled all over. So I’ll start with Paris, because we flew in and out of Paris. We stayed all of our accommodations in, in every city and town we stayed in, were through Airbnb. And we, we travel that way now whenever we travel, because it’s comfortable for the kids. And it’s comfortable for us. And we can have our space to spread out. So in Paris, we were in Rue Montorgueil. It is! It was amazing because it’s pedestrian only. And so we were staying in a beautiful apartment that was actually the woman’s you know, the woman who own the apartment, when she doesn’t rent it out, she lives there. So really felt like somebody Parisian flat, which was lovely. And when you walked out the door, you were right on the street. On a busy street, but I could peer out and see from our doorway, you know, three different boulangeries, and roasting chicken man across the street and cafes just, you know, just down from us. So it was nice for all of us and the kids, especially to just sort of walk out the front door. And there you are, in Paris life! And there you are and there’s no cars, you know, except occasional delivery vehicle and stuff like that, you know that was great. And from there, we walked everywhere. So we walked almost every day straight down the street and towards the Seine. 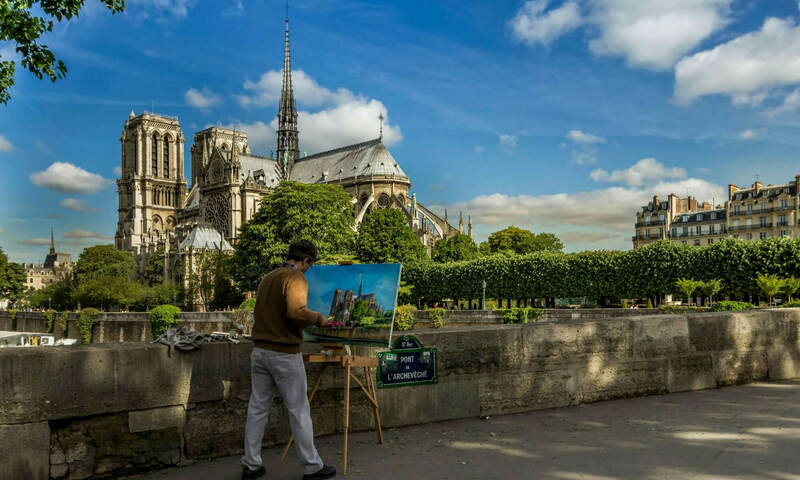 And so, one of the days that I think my kids loved, was we walked down towards the Louvre, and I think we walked down rue du Louvre, which is very busy and a big street and we had no intention, I should say this, of going to the museum. So it was, we deliberately planned to go this time of year, I should mention, because we it’s I mean, it’s nice to be in Toronto in the summer, we don’t get a very long warm period. So it’s nice to stay here. We didn’t really want to travel in the heart, like the height of hot summer and tourists. So, our kids are still young, we can take them out of school for a couple of weeks. So, nothing was very busy. And so from the, from the pyramids at the Louvre, we walked all the way sort of the entire length of the Tuileries Gardens. And the leaves were turning color because it was fall and there were still lots of people out, but you could tell a lot of them were Parisians. And just, you know, relaxing by the ponds or sitting in the chairs and we found a lovely little playground and a carousel that was the start of our, every time we saw a carousel we had to ride it! It’s the best, you know, two euros every time we saw it. That was the best money spent. We just played there. I mean, the kids loved it. They they love playing with the other kids again, because we were there during a not very busy period there was just it was mostly French people around us. That was a highlight yeah, just hanging around the Tuileries Garden and and walking around and enjoying just everyday Paris ambiance. I mean, I think that was the highlight really for the whole trip was as much as we could just enjoy everyday life and then intersperse it with fun things for the kids to sort of let off steam and run around. I wanted to ask you going back to your Airbnb, you… So you this Airbnb is on rue Montorgueil, so it’s a very famous street. Were the prices comparable to hotels? Or was it still a good deal? I think it was a good deal. I mean, I didn’t look at I didn’t look at hotels to be honest. So I don’t know. I mean, what would you say? Around around there. You’d probably pay at least 200 per room. Yeah. It had all the old features, but yet, you know, it had laundry and everything if we wanted it, so. Uh huh. Well, that’s cool. Because so 200 for the apartment. Per night. Right. Well, that’s still really not bad. Because I don’t think you’d find a room family room for people in that area. With a hotel. I think you’d pay at least 350. Yeah. Yeah, and it’s funny because I will say we just stayed one night in a hotel at the very end of our trip before we flew home. And we walked into the room. And my daughter said, after two weeks of staying and you know, beautiful homes. She walked in, and she said, “Oh, my goodness. I’m so glad we didn’t have to do this for the whole trip!” Two beds in one room. And that’s about it. Yeah, they really appreciate it. 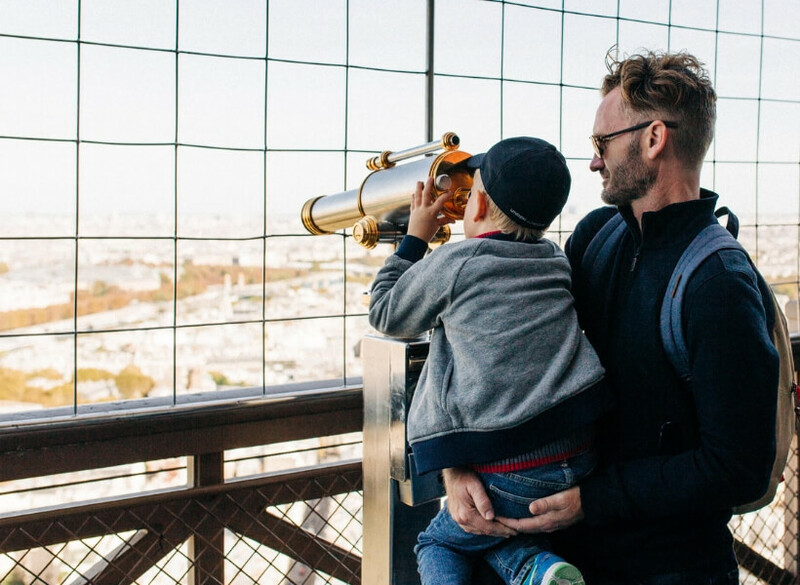 Anything else you enjoyed in Paris with your kids? We so the the Ryder Cup golf tournament was on when were there. And which is I’m not a huge golf fan. But it was it was seemed to be a pretty big deal. It’s the first time it’s been in Paris. It was just outside of Paris. I think. Paris itself was really celebrating and outside of the Hotel de Ville they had set up a mini golf course. And also a huge, gigantic, you know, TV screen. So there was a lot of there was a lot of Parisians and then also some tourists who brought out like lawn chairs and stuff like that to sit out in front of this giant TV screen and watch the golf at 10 o’clock in the morning. Yeah, we didn’t do that but the kids loved the golf the mini golf and practicing their their golf swing, so that was unexpected. We had no idea we were going to run into that. We were on our way to Notre Dame and it was Sunday morning and which I didn’t even think about and we went to Notre Dame which the lineup outside looked extremely long and so I promised my daughter who groaned that it you know, she didn’t want to wait in line for too long. I said if we haven’t moved in five minutes, we’ll just leave the line and we were inside in less than five minutes. Yes, Notre Dame the line can look really long and it goes fast. They are very efficient. That was great. And considering it was also Sunday Mass, which I didn’t know and they were still letting people in. We got to see a bit of that. So that was kind of cool. Yeah. And one other thing that the kid that I had heard about on a few of your podcasts was the Marche des oiseaux that was on that morning so we went to see that in the kids held birds and. Like like many of your listeners have said they wanted to take some home and we said no. Yes, all the kids want to take home a bird. Yeah, it was great. I can’t believe people need to buy that many things for their birds. But it was pretty cool. Neither am I. Yeah. But again, it was it takes you know, it takes five minutes to walk through it’s not very big. But young children will really enjoy that. And yeah, every big city in Europe seems to have something like that in Barcelona. There’s on the Rambla, on the main Rambla, can’t remember what they are the week but they also do a big bird, the section of the rambla is full bird trade kind of people. So yeah, it’s, it’s popular. Yeah. So that was fun. And yeah, and then I think, I mean, we did the Eiffel Tower. 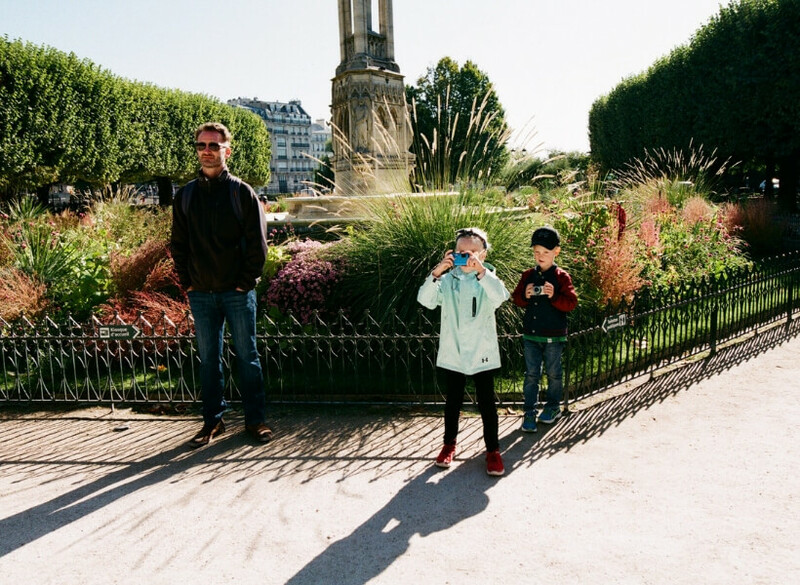 That was the one thing that that was really the only thing my kids knew about Paris. They wanted to do that. So we had pre booked our tickets, which did help. I mean, it helped, ya know, you have to wait in two lines, that we still have to wait in one line. Sure, you still have to do security no matter what. Yeah, I mean, that that was one of the spots that was very different from what I remember when I was last there. Because you could walk right up, you used to be able to walk, you know, right up underneath the Eiffel Tower. And you didn’t even have to go up if you didn’t want to, but you could look up from from the ground. Approach. Yeah, were they pretty much done with the construction? Because they were putting up special it’s kind of a special plexiglass all around. Yes, that was all up. We had to go through that. We again, we just, we kind of just we picked a line that said, you know, it looked like it said, if you had tickets go here. I’m not sure if that was true. But they let us go through. So we didn’t we didn’t have to wait in line to get through security. But yes, they did have all of those plexiglass walls up. Yeah, yeah. Yeah, you can still go under the Eiffel Tower. But you have to go through security first. And the lines are usually pretty long. Well, it depends on the time of year. And one trick to not wait too long at the Eiffel Tower is if you go towards the end of the day. So you it doesn’t close at the same time every day of the year. But if you go maybe an hour or an hour and a half before closing time, then you may, even in the middle of the summer, you don’t have as many you know, as many people in line. Yeah, it was okay. We waited maybe half an hour. Yeah, it was a nice, warm, sunny day. And we were there I think just after lunchtime, so yeah, one o’clock, something like that. I think any big city or any attraction, really. I mean, if you go to Disneyland, there’s lines of an hour and a half some for some actions, you know, so it’s just how it goes. I mean, is when it’s a popular attraction, there’s going to be lines. So what did you think, what did the kids think of the Eiffel Tower? was it was it a fun experience for them? It was. It was it was funny, because it was so hot and sunny down at the while we were waiting, and then you get up there. And it’s quite windy. And yeah, you know, quite a bit cooler. So it was, yeah, they really liked it. It was a beautiful full day. So you could see really far. My son whenever he sees a telescope that you have to put money into, we have to do that. So we, I’m not even sure he can see. But he just feels like he has to do to do that. Yes, he needs to do that. So, we did that, and of course visited the gift shops because that’s also something we always have to do. It wasn’t it wasn’t too busy. I mean, it was busy. But it wasn’t overwhelming. You could always get right up to the edge. And we did not go higher than the second level. And partly that was because when I went to buy our tickets, those advanced tickets were already sold out. But also I had, you know, I had only ever been to the second level and my memories of it were that it was a spectacular view even from there. And the idea of waiting, and then getting up and possibly waiting again, to get up higher. Actually, from the third level, you see a lot less because you’re so high. You have to have like, you know, a very long zoom lens to see anything from up there. That’s right, actually, yeah, the photos I took from the second level are amazing. Because you’re high, but you’re not too far away. To the first level. Yeah. To the first level. You’re right. So we did that we walked down and there was hardly anybody there. So after we had spent time up on the second level, looking at the views, we went down to the first level and you know, use the washroom there which were empty and clean and beautiful. And nice the kids ran and there was a glass floor a bit of a glass floor there. We stood on that so that kind of ended up being a bit of a break for us because we could all just sit down. Yeah, that’s a good tip that’s it that’s a really good tip. Most people don’t stop on the first level and you know. I mean the Eiffel travel… the Eiffel Tower keeps trying to put new things there to see if people will. But people don’t, they just want to go to the second and third level yes just how it is. You’re right, there was a little there was a movie there’s a little movie theater yeah so we watched it’s just sort of clips of black and white film of when it was first opening I think. Right! Yeah, I would I would recommend it you know when you’re on the second level just walk down one level, and it probably takes what five minutes? And you’re going down anyway I mean. Yeah, and then you get the experience of being on the stairs if you haven’t walked at all because that is pretty cool to see to see out through all of the the iron. You know iron work so yeah that was that was really fun and different from what I remember and the kids really liked it, so. Um so yeah and then you know, we just loved living in Paris we spent a lot of time on our street where our Airbnb was because there was so much to see so much ice cream to try! And this is such a good piece of advice is stay somewhere that’s pleasant that where you won’t have to go very far to just enjoy your stay. There are people who go to extreme lengths to save a few bucks and they end up staying in areas that are not interesting or even dangerous at times. And I think that’s foolish because in Paris there’s so much enjoyment just going down the stairs or you know there’s there’s a lot of places in Paris where you just want a pleasant street you can just enjoy that without going anywhere, really. Yeah, I agree. And that definitely was our goal with this trip was not to overbook ourselves. And so not to especially in somewhere like in the places where we were in cities not to stay anywhere where we couldn’t walk to things. It was great. I mean, we walked we walked from our apartment to the Eiffel Tower. And which was that was very busy, actually, it was kind of, yeah, it was some protests and stuff going on up there. It was fine. It was peaceful, but there was a lot of people, but because the view is so amazing. Yeah. And then from there, we took the metro back to our apartment, but the kids really impressed us with how much they could walk. Yeah, that’s, that sounds like they’re good walkers. So , after Paris. We were in Paris for three days. And then we took the TGV down to Montpellier. Yep. So that’s the high speed train. Yes, it was. It was high speed. However, we had a hour and a half delay at the beginning. As someone had been injured on the tracks somewhere. That’s what happens. Every time I take the train. There’s delays at some point. You know, it’s just because it’s I mean, it covers a lot of ground and there might be a dead animal on the tracks. That might be a protest, they may be, who knows? But there’s always seems there’s always something. Yeah, I work in public transportation. So I completely understand and was not the, the, they kept us very informed. 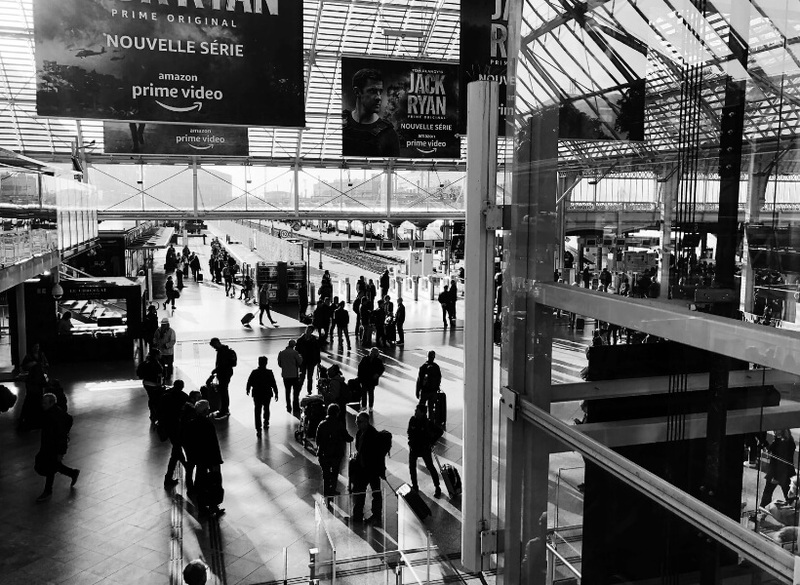 And we so one tip when we were booking our train tickets, which I booked those in advance was, we knew we wanted to take the TGV and when I looked at the difference between first class and second class it was a difference of maybe I’m not kidding. Three euros a ticket! And so we just went for it. And went first class and it just gave us a bit more space a bit more, it was quieter, which, while you might not think that’s a good idea for kids, it made them be a little quieter too. Like, so, we just kind of had a really nice relaxing trip. I wish we had packed more food rather than relying on the food on the train. But that’s our own fault. Was it not very good? I haven’t bought any food on a train in a long time. I don’t know what it’s like. It was fine. But it was not great. And really expensive. And some of the things that we wanted, they didn’t have so because they just hadn’t restocked the train probably. Yeah, yeah. So you know, that was okay. But that was are you can definitely we were coming out of Gare de Lille and there’s lots of there’s a Paul in there. Like, there’s lots of stuff you can stock up in there. It’s maybe not any cheaper, but at least it’s a little bit better than what you get on the train. It would probably be a good idea to buy a few snacks or sandwiches or whatever, before you get on the train. Yeah, that’s what I usually do. So we would, I would recommend that, you know, next, but yeah, I mean, it’s super once we started moving. It was it was, you know, three hours, like they said it would be. Yeah, and, you know, it’s To me, it’s, it’s, it’s really just relaxing, because you’re in a train. There’s that movement, constant movement, you have a lot more room than you do on a plane. I mean, honestly, because you could totally fly between Paris and Montpellier, but it would probably take you the same amount of time because by the time. Or langer, because you have to, you know, you have to arrive early and do security and all of that. With a TGV there’s a little bit of security, but it’s, it goes pretty quickly. Yeah there was well, yeah, there, there wasn’t a lot. There was one area we had to pass through that was sort of like security. Yeah, it was pretty easy. And they don’t check passports or whatever. They do more of that in Spain. If you board a high speed train in Spain, they will do more security. But in France, it’s still pretty relaxed. Yeah, it was. Yeah, and on the TV, you can you can choose your seat. They, you know, there’s a lot of granularity in how you choose your seat. And unlike airlines, they don’t charge you more for picking a seat or something, you know, yeah. Which and they don’t charge you more for luggage. And there’s a few things that you need to take into consideration when you book train ticket rather than a airline ticket, is it there’s not going to be upselling of mo I mean of many things, if anything. And first class is definitely worth it on the TGV. And the other thing is book your TGV tickets early because prices do go up as you get closer to date. Yes, we actually started watching it watching the prices several months before, but there’s also a limit of how early you can buy. Right, you can, yeah, you shouldn’t buy… I think it’s 90 days. It might just be 60 days. No, I think it’s 90. Okay. Yeah, don’t try to book a year early. That’s silly. But But when when the tickets become available, don’t wait too long. That’s right. Yeah. And our train was I would say it was pretty full so yeah, yeah. So that was fun. And I mean to your point about we could have taken could have flown down to Montpellier it’s true. But part of our that early part of our trip we didn’t have a car and the airport in Montpellier is you know, quite outside the city. So yeah, this was a way of getting us from you know, central Paris to central Montpellier. Although the TGV trains in Montpellier don’t stop right in the city, do they? They have a separate train station? Don’t they? No, this one was the main train station. Oh, I know there is a different train station. But I’ve never been to it. And no, this is the same. I mean, this is the same TGV I took when I was a student which was kind of cool. So, and so the reason we chose Montpellier, just as a side note, is because that I lived there for a year back when I was in university. So I went to school at a university here in Ontario, but did my did a full year exchange in Montpellier, and went to the University there. Rented an apartment just, you know, lived lived like a local student. And there’s a lot of students in Montpellier. Yeah. So I had not been back since I got on a plane to head home when I was 20 years old, or something like that. It was it was a very surreal experience in a way to be back and to be back with, you know, an entire family and tow. But we got off at the station. And, and my sense of navigation kicked in. And I knew exactly where we had to go, because we were staying right in the Place de la Comedie. Oh, again, right in the center. You picked some good places to stay! Yeah, would be nice to share the links to the exact properties where you stayed, because I’m sure some people will want to see that. Yeah, so this place was amazing. It was right on the, you know, overlooks the Place de la Comedie. You could see all of it from the balcony windows that were in it. And so we could easily walk from the train station. And the train station has been really nicely renovated. I don’t know how recently, but it’s quite beautiful, now. That’s not my recollection of it. Yeah, there are plenty train stations in France that are not very nice. No, this one’s beautiful. It’s got big, soaring ceilings, lots of light now. So nice. So that was an it’s an easy walk. So we just pulled our suitcases up with us got into our apartment. And our favorite thing in Montpellier definitely, was just exploring the street. So I listened to your episode about Montpellier just recently. And there’s there are, you know, a lot of cultural things you can do. But it’s also just such an amazing city to explore. I agree. And I think that if it feels a bit like two cities, and the Place de la Comedie sort of splits it. Like the south side or the, I’ll say south, but from Place de la Comedie down to the train station. Yeah, it’s grungier. Some, it’s just a little grittier. And that’s sort of the nature I guess, of being your train station. Right, the aqueduct and and the big the garden park thing. With a statue of Louis XIV and all of that. Yeah, yeah. So we spent a lot of time and I wasn’t really thinking that it would what it would feel like because it it was fall, so all the leaves are changing. So everything is beautiful golden orange, and the leaves were starting to fall off. And yet, it was still, you know, quite warm. We were in T shirts. It was great for pictures. I’ll put your pictures it’ll be all your pictures on in the show notes. Yeah, I’ll share all that. So we just did a lot of that and we did things you know, as as you do. You sometimes go to things because you need to see if they have a washroom you can use. So especially with the kids. So we were walking towards that park Peyrou and walked past the courthouse. And and I just you know, we ducked in to see if we could use their washroom and turns out, you could you could have a look around. You couldn’t go in because there was actually court was in session. You could you couldn’t go into the chambers. But it’s this beautiful, very imposing building. The courthouse. Yeah, yeah, I haven’t been to it. I mean, there’s not a ton to see. But they had a very nice clean bathroom we could use and it was quite a nice building. And this just the steps leading up to it are stunning. So, you know, we ducked into places like that quite often. And we’re surprised because that definitely wasn’t on our list of things to do. And I had never done it before. Exactly, exactly. And I just wanted to I mean, I went back and found my old apartment. And which was on the grungier side of downtown. It was still there. And it was just really, really, it was a great feeling to be back and fun. Again, it’s very pedestrian friendly there. You hardly see any cars. And so it’s fun for all of us to just walk down the streets and not have to be worried that cars are coming up behind you. Or you have to stick to the sidewalks because there aren’t really any sidewalks. You just walk. Right. And if you have good weather, it’s so pleasant! So pleasant. And we found as we did everywhere, we found the playground, which was very near our apartment. And they had a giant old carousel right up front of the Monoprix. So we were there every day. Yeah. Yeah, it’s a pretty one. It’s how many days did you spend in Montpellier? We were there for three nights and four ish days. And you didn’t make it to the beach? Yeah, it was. So we just again, we kind of just lived there. And one of the things we did was because I take a lot, I’m the photographer in the family, but I don’t get to be in very many pictures. 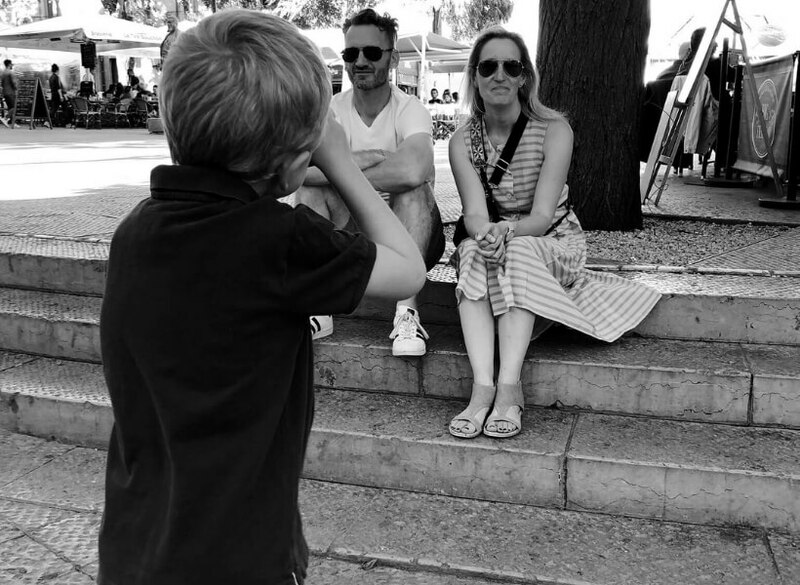 Is we actually hired a photographer who met us in Montpellier. And we did a photo session for our family there. It was very cool. And it was I wanted to be, I didn’t really care where it was on our trip. But I’m really glad it ended up being there. Because it’s such a special city to me. Exactly. You have memories there! So yeah. And our photographer came in from Lyon. And she had she’s French and she’d never been to Montpellier so she was super excited that it and could not believe that she’d left Lyon that morning wearing a winter jacket and a sweater and got off the train to palm trees and T shirt weather, so. I know, Montpellier has nice whether! They do! They do! Like I think their their town slogan is 300 days of sun a year. Yeah, yeah. I mean, I love Toulouse but I must admit Montpellier is tempting when you look at the weather. Yeah, it is. And I will say there’s one other really cool thing in Montpellier, which was their toy stores. Which we found some of the most, maybe this is all over France and we just didn’t see other ones. But there was two or three unbelievable toy stores that felt like almost like theme parks, just the way that they arrange their… the toys inside and it was of course it was different stuff that our kids are used to seeing. Yeah. And so we they didn’t even the kids didn’t even go in and want to buy everything they just sort of like being in there. And so I can share the names of those because they were… one just felt like you kept going into different rooms and they were all themed, like one room was all space and it was it was very cool. That’s nice. Yeah, you you it’s it’s very nice because you listed one called the Pomme de Reinette et Pomme dÁpi. Do you know what that is? Do you know what the reference is? Well, I know the song. Okay yeah that’s what I was gonna say. It’s a song It’s a kid song. Yes No. And so yes annoyed my kids by singing it! Well, when I read it in your show notes there I started singing and it was stuck in my head! Yeah, actually my kids learned that in school. Yeah. They know it Yeah. So yeah. So that was fun. Again it’s just, you know, my kids like just wandering and as long as we take enough breaks and you’re not just wandering aimlessly and free time is fun. So. Yeah. Yeah. So you didn’t even go into museums or anything like that. You just went out to explore the city. We did. There was a few things that I I wish we had done, but we just didn’t have time. And I’m that’s fine. I wanted to go to the what’s the garden? The Jardin des plantes? Is that it? And I just because I had been there before, when I was when I lived there. And I really liked it. Yeah, ran out of time. And I think if the kids weren’t with us, I would really like to go to the what’s the art museum? Oh, I don’t remember the name of it. But it’s on the Place de la Comedie. It’s Yes. It’s the Yeah, it’s a major museum. I can remember the name. Yeah. Anyway, that I never wanted to go to it until I listened to your episode about it. I think I was already home? So I couldn’t do anything about it. But, you know what, we made a pretty conscious effort on this trip that unless we knew it was going to be something we all wanted to do we weren’t probably going to do museums. Yeah. And yeah, with young children, you have to have a plan for museums. So you know, if you know that there’s a piece in there that you want to tell them about before you go and you get them excited about seeing it. And, and then you go in and see it. That’s, that’s one thing. That’s a very good way to handle it. But if you just going to walk around the museum, oh, look at this. Look at that. Look at that. They’re fine with it for for maybe an hour and then they’re sick of it. You know. I agree. Yeah. And I think that we had such good weather. And, oh, we kind of in the back of our mind just said, if it’s rainy, then we will maybe look for indoor stuff. We had maybe a day and a half of rain the entire trip. So it was nice not to have planned to do indoor things. And then felt bad that we were missing out on beautiful weather. Yes. It is! Such it’s such an interesting city that way. Yeah. You were saying that there’s, there’s, it feels like two cities. To me it feels like three, you know, because, because that part is also very different. Very, yeah. Some people love it. Some people hate it. It’s just, but it’s also good. Good for pictures. It’s good for pictures. And I think if you live there, you you don’t just want all old or all new. You need… You need some of everything. Yeah, so I see why it’s such an attractive city for people to live in, but also for students, because there’s it does have all of the amenities and more amenities in some ways, than some of the older cities in France, I think. Yeah, and it’s not as… The lifestyle isn’t as rushed as Paris, you know, people who study in Montpellier, well, they’re not as stressed, I guess! No. My husband’s favorite thing every basically the whole trip because we would be out during the week during the day. And he would always look around and say, who are these people? Don’t they? Why arent they working? Yes, some of them do work. But they, you know, French people like when when we have a nice downtown. Yeah, we just like to go downtown. So if you have a few hours off, you’ll go downtown. And most people really like to do that. And lots and lots of people do that. Just… Just to be there. It’s kind of strange. It’s a French thing. No. Well, and the thing is, if you went to downtown Toronto, during the day in the busy part of downtown, it’s, it’s no different. There’s people on all of the in all of the coffee shops and restaurants, right. So you could say the same thing. It’s just I think you noticed more on vacation. So after Montpellier we went into we picked up a rental car. And that was the start of our driving part of our trip. So we went into Provence. We did, we did a bunch of things. And I’ll just maybe talk about our favorite ones. And I’ll put the rest, sorry, I’ll put the rest of what you did. I’ll do a guest notes thing. So you you listening. If you want to see the details of what else they did, just go to the episode page. And then below, you’ll see guests notes it’s a blue button. Click on that. And you’ll get to see all of the things. But it was no, no bakery. It was Yeah, it was very remote. It was beautiful. But anyway, on our way there. We stopped and rented kayaks and kayaks under the Pont du Gard. Oh, yes. Yes. Well, that’s very fun. So wonderful. It was, it’s just very peaceful. Again, probably the time of year, we lucked out. The weather was so beautiful. But there was I think we saw maybe one other canoe on the river that day. Yes, I’ve been there in the summer and there are a lot of canoes. Yeah, we saw a few sunbathers, like on the shore. But not very many. And so we had two kayaks. My husband and I, and then we had one kid in our in our kayaks and it was about two hours, I would say. And, but it’s just very, I love this about Europe in general. Very little guidance is given you get your kayak up, get your life jacket, and they say, we’ll meet you in two hours. Well, yeah. Because I mean, honestly, it’s that river is not challenging or dangerous. Yeah, it was fun. It was so much fun. And so, and then you get to go under the Pont du Gard, which is an amazing perspective to have. Under there, that it was very busy. Right around the Pont du Gard. But otherwise, we literally saw nobody. So did you take your camera equipment in the kayak? So I brought my… So they give you this, like a plastic barrel. So you can put everything in it. But if you have, I didn’t bring my really good camera. Because, yes, it still has to go in the plastic barrel and take it out while you’re on the water. I brought my iPhone and it takes great pictures. Well, for that, that particular activity, I was good with that. And even that I was scared. I would drop my phone. And yeah, that’s, that’s probably what I would have done too. Yeah. So. But it was really, really fun. I would highly recommend that. I think even if it was busy, it would be really fun. Yeah. Oh, and even busy. Yeah, it’s not like it’s thousands of people. You know, you have a dozen, maybe two dozen kayaks at once. And it’s a river. I mean, you know, it’s, there’s a stretch. Yeah. And there’s times in the year where there’s not a lot of water. So there’s times in the year where you can’t do it. It just depends. Though, there wasn’t a lot of water in some spots. So yeah, learn. That’s sort of the funny thing of like, we don’t, they don’t tell you any of that. But you realize when you are, you know, all of a sudden, you aren’t moving because your kayak is stuck on rocks. You have to get out and push it to a deeper spot. Yeah, but it’s fun, really. And my only regret is that we hadn’t… If we’d known we probably would have worn our bathing suits. And done a bit of swimming along the way, because there was people doing that looked really fun. Yeah, okay. Yeah, you can do that. Yeah. But that’s okay. One of the other spots while we’re in Provence again for about four days, one of our favorite spots was Roussillon. Because it was really pretty. But also we did that Santier des Ocres walk. Which was spectacular. And every time I posted a picture of it, no one, including people in France could believe that that was in France. Right, because you so different from the landscape of the rest of the country. We were covered in red dirt afterwards. Because they just went running I mean it again, it’s so it’s very cheap. We just walked from the main town, you could walk to the entrance. And then I think it was, you know, a few euro each to get in. And you can, then you can walk the different trails as many times as you want. So I think we did them two or three times. Right. Yes, it not very big. It’s not very big. And you kind of, yeah, you go through these spots where it’s, it just looks like the surface of Mars. And then you’re, then there’s other parts where you’re in, you know, really, really tall forest. So that we love that my son loved that so much. Just because there was there were so much up and down and different landscapes and you could run and he he really wanted to, you know, dig in the dirt and stuff like that. Yeah. Right. Accrobranche, yeah. Oh, yeah. No, I have not heard of that. There is really not not much going on there other than this Accrobranches course. But it was the best! Like it was…. And I guess there’s, there’s these courses all over France. Yes. Yes. You can find that in a lot of places in France. Yes. Right, they got a little bit of a safety talk there, I assume? Yeah, there was one other family that’s kind of seemed like us, they were traveling because it was during the week. And so there was nobody there. Yeah. So there was one other family and their kids were teenagers. And they so they were doing the more advanced courses. Royaume des Arbres. I think they have a few locations. And there are other ones. It’s just many of them are closed because of the time of year. Right. Yeah, yeah, they have. I mean, they they reopen for the weekend and the reopen for school vacation. 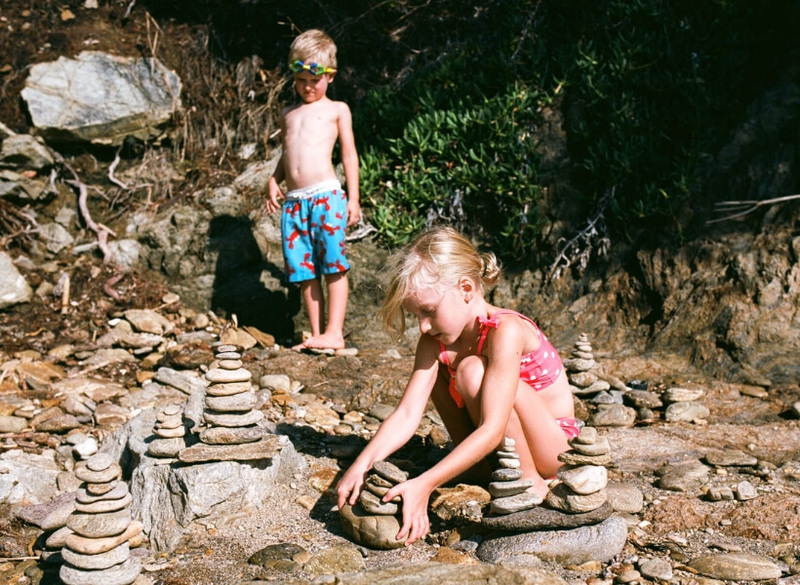 French kid school vacations. But yeah, they can’t stay open all year, because they won’t have very many people. Yeah, I want to jump down to our next spot, which was… So we drove from levels down back down to the Mediterranean to Le Lavandou. And we picked that spot because my husband’s grandparents used to have a summer home there. And not one that he unfortunately ever saw. They sold it before he was born. They live lived in Scotland and so they would come over and and vacation there. Again, we were just kind of trying to find cool Airbnb is that we’re in general locations that were interesting to us. So we did a bit of research on Le Lavandou, it looked super cute. We’d never heard of it. And so we stayed there. And it was great. We were up in the hills. We have to walk down very steep, winding roads to get down to town. But we could do that. It was maybe a 10 minute walk. But all along the Mediterranean is this like these hiking trails. So the Sentier du Littoral I think it’s called. Yeah, Littoral means the, the waterfront, the right. Yeah. Oh, it probably does. There’s probably ways to walk the whole thing. Yeah. It is marked Yep, yep. On the other side of the beach. Yeah. You’re walking in front of some people’s beautiful summer homes and stuff like that. But that was a real highlight. Well, so when I read this, I wondered, did they also have a lot of mountain bikes going through there? I don’t think this trail I don’t think you could do on a mountain bike. Okay. It was. No, I don’t think you could. And I didn’t see any. There was a bike trail a little bit in from there. So I guess they had a separate bike trail from the road. It was totally separated. So we saw a lot of cyclists on that. OK, but they took a different path. They took a different path. Yes, yeah. No, it was good. But this was beautiful. And we did it sort of mid to late afternoon. So in one direction, we had the sun at our back. And then on the way back, the sun was, you know, lower in the sky. and nice. Yeah. And then we ended with ice cream back. And in town. So I’ll put a link to the to the website. It’s Sentiers du Littoral it lists a lot of different hike that you can do starting in different points and ending at different points. And some of them are longer than others and all of that good stuff. Yeah, this is not something that comes up a lot. 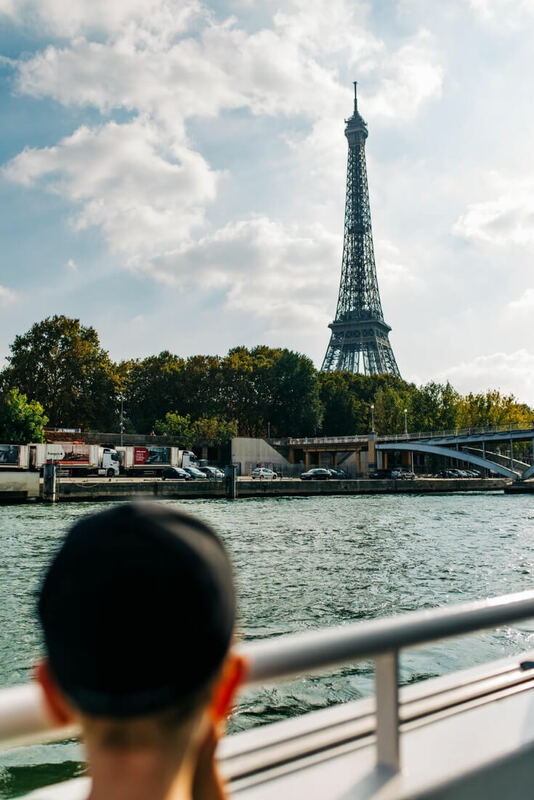 It’s something that French people do a lot but I’d say you know, tourists typically don’t go there and they should because it’s really enjoyable. Oh, it was it was one of the best things we did in especially in that area, and there’s just so many cool little coves and “calanques” to explore and we we did a lot of that While we were there. Did you kids like swimming? They did. They didn’t… they swam a little bit. The Mediterranean was a little chilly. But our Airbnb had a pool. Oh, yeah. Yeah. If I had a choice between the heated pool and the Med, I would take the heated pool as well. Because it can get chili. I mean, it’s not like Brittany or anything, but it’s still cold. Like, you know. Yeah. And that’s fine. It was October. Like, we weren’t expecting it be super hot. And the fact that we were in it at all was pretty great. Yeah, I bet the kids enjoyed that. Let’s, let’s try and finish up with the important stuff. So after our Mediterranean days, we drove quite a long drive to Annecy. In the Alps. And we had two days there. And I wish we had more because it was just, it was one of our favorite places. We stayed right in the old town, which I knew that we could walk to the lake. But I didn’t realize how close everything was. So it was just lovely to be able to, you know, we were there on a market day one of the days. So we went in and just saw them setting up. And you know, the market in that in Annecy was incredible. And the again, we still had beautiful hot weather. So we rented paddle boats and went out on the lake, which was really fun. And again, they just, you know, you say, I’m going to be out for an hour. They say, Great, go have fun! Yeah, and push you out and you go. And if you don’t come back in three hours, like where did they go? Right, because Semnoz is a ski station. It’s a yes. Would you call that? Just call it Station de Ski in French. I don’t… I losing my English. Yeah, just a ski resort. Yeah. And there was a couple chalets up there that were open, so we could get, you know, have a cafe up there and saw some goats. The pictures look beautiful of that area. It looks like a nice, nice place. And you can see the the lake and the town from up there. And it it just, it’s a postcard. It’s beautiful. So in over the two weeks, where would you so you said you would have spent more time I’m in the French Alps? Well, so where would you have taken out time? We’ll see that’s the problem Annie! I don’t know! So, we spent five days in Le Lavandou and I would maybe take a day away from there. But if the weather the weather there was was up and down. So we had one day it was rainy the whole time. So if you were, which made you a bit sad, because you’re somewhere where you definitely want to be outside. Yeah, Provence, I mean, several other things of your favorite things that you list were in Provence. I would think that for most people who don’t, who don’t have a connection to Montpellier. You spend three days in Montpellier? I mean, for people who don’t have a connection to it. In your case, it made sense. But but maybe a day or two in Montpellier would be enough for most people. Yeah. And the other thing we did on this trip was aside from the drive from Le Lavandou to Annecy and then Annecy back to Paris. Those are two long travel days. But everything else was close. And so we did that on purpose. So that we wouldn’t be in the car very much. So, any, Yeah, exactly. 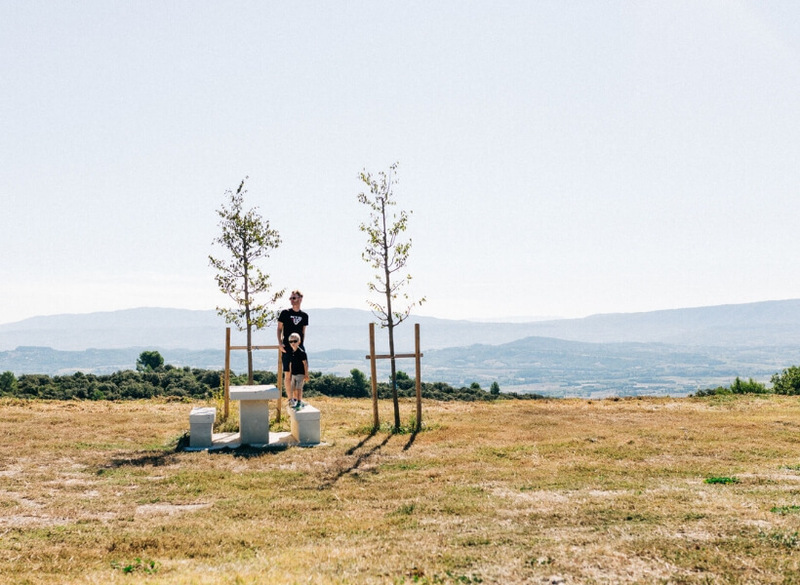 You could go to Montpellier for a day or two, because it was only an hour and a half to our next spot, you know, so. Yeah. So that’s, that was my… that’s a good tip, I think. Is don’t try to… You just can’t do everything in two weeks. You know. You’re in the car. or a bus or a train or whatever at lot. Constantly. Yeah, yeah. And so from French Alps. Did you then take? Did you drive back to Paris? Or did you? We did! So we decided to drive the car and drop it off at the airport. And then we stayed one night at the one hotel at the airport, basically. Yeah, that’s, that’s really smart I think. Especially with kids and stuff, it will be faster to get ready in the morning. And you don’t have to worry about transportation and stuff like that. It was maybe a five minute walk to the the people mover or whatever they call it, that takes you right into the airport. So that made our morning. So our flight was at 11am. It meant we just nothing had to be rushed. We’d already dropped off the car. I’d already checked in the day before for our flight. So just, yeah, it was very smooth. And we had a fun night in the hotel. It had I made sure to book one with a pool so the kids could go swimming and, you know, we just had a fun dinner, reliving our trip at the hotel restaurant, and yeah. So it was what sort of hotel was it? Was like a Hilton or something like that? One of the big brands? Yeah, yeah. Yeah, it was fine. Yes. Fine. It was a hotel. It was clean. It was, you know, nice, comfy beds. And, yeah. So it’s funny, because on your way back, you say you stopped in Beaune for lunch, and you rode the carousel! Of course, Annie! That’s what we did, we rode carousels! Did the grown ups also ride the carousels? But the kids liked them. The got all of our tickets all the time. We did stop in Beaune. It was very very touristy, that day. Oh, everyday! Beaune is touristy and also kind of, from a French perspective, a little bit hoity. The way they talk to you is bit not very friendly, I’d say. But that’s so funny. I didn’t know that. But I did notice that in some of the places where that was one of the few places where I would speak in French, and they would speak back in English. And I insisted on speaking back in French. And finally they relented. Yeah, which is good. You need to do that. If you want to speak French. Just speak French. But I don’t know Beaune very much. I only spent a full day there. So it’s, it’s a bit of a fast kind of, you know, I just, I could be dissuaded. But that’s that’s what my first impression was. Yeah, after two weeks of really not seeing very many tourists, and definitely not many tourist buses. That was the opposite of that. Well, when you went there in the at the height of wine kind of season. So yeah, there are probably a lot more people than even in July, you know, I mean, this is just because it’s, it’s wine country. So there’s probably more things going on in September, October. Yeah, I didn’t think of that. And then we were going to go there that that beautiful, I mean, that that square that they’re famous for? Mm hmm. The one with the carousel. No, the one that you you actually have to pay to go in and see it. It’s like an old hospice or something like that. Oh, les Hospices de Beaune! Yes, yes. But I didn’t realize you had to pay and it was a lot of money. And I, I was really the only one who was interesting from a, from a photographic perspective. And then when I could see how many people were pouring into it. I said, You know what, forget it. Yeah. Yeah, it is nice. That that is, of course it. But yeah, you have to make choices. Yeah. And we all we really were there for lunch. And we just, we wanted to get to Paris before it was dinner time. So we just we said, Forget it. There’ll be another time. 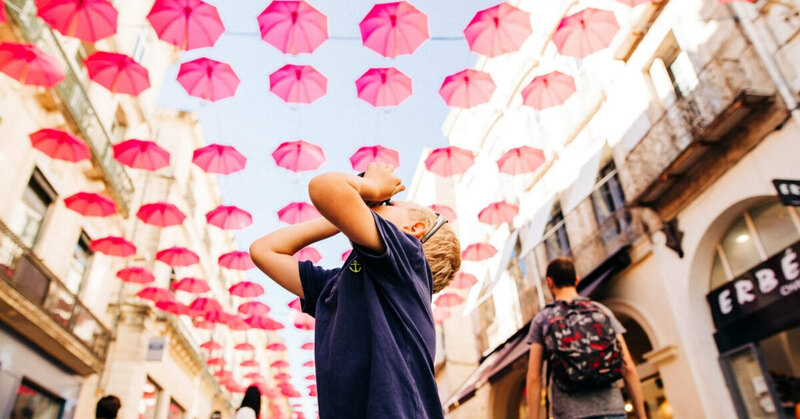 So, in general, how would you say people should think about visiting France with their kids? Do you have general advice for how to best do that? I mean, it’s funny when we when we were telling friends and family that we were planning this trip. So many people assumed that we were leaving the kids at home with our parents or something. Yeah, so there was a lot of people saying, “Oh, wow, you’re going to take the kids with you! Do you think, you know, are they going to be able to handle it?” I don’t know. I don’t know what they were thinking. But yeah, it was the it was the best decision to all go as a family. Our kids really don’t, don’t just assume because they, you know, maybe complain about going on a walk to the grocery store when you’re at home. Don’t assume they’re going to be the same when they’re on vacation? No, it’s not. Because at home, they probably have the PlayStation waiting for them. Whereas on vacation they don’t have that! Or, it’s it’s, you know, that they’re used to doing the same things at home. And every day on vacation was new. Yeah, they just love that. And they would, you know, I could easily convince my daughter to walk down the steep hill with me as long as she was going to get a tarte au citron at the end of it. So I just think not assuming that or not assuming that the food that they’re just not going to eat anything. Because they will. And you know, we definitely didn’t eat in restaurants that are all the restaurants that maybe my husband and I would have chosen. But that was okay. 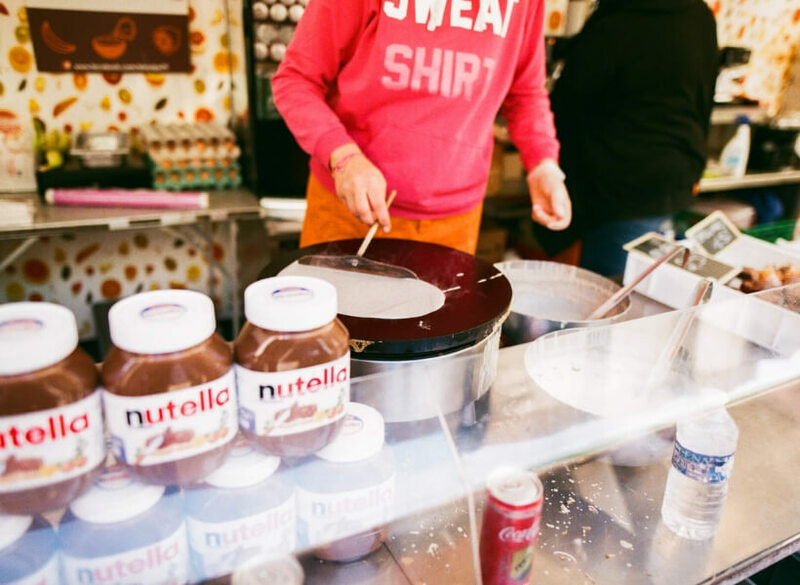 We also like, you know, eating snack food from a crepe stand. Yeah, it’s faster. And it’s fine. Yeah. So I think as long as you’re and then just not over planning at all. We really just picked our locations, and then everyday kind of decided based on the weather. And however I was feeling what are we going to do today? Yeah, I think with kids were at the way I like to do it is just have a few possibilities for every day, and then play it by ear. Yeah, depending on how the kids feel, how, what the weather is, like, how you feel, you know, be really, really flexible. And just… But you do have to have a few possibilities. You have to know, about a few places you could go a few things you might want to see, and then then adapt. And that’s what we did. And you know what? We would we would go visit that one thing we have planned. And then along the way you’d see something else. You see, let’s come back there tomorrow! Because we didn’t know that was there. Yeah. And yeah, it’s having any kind of that. That was how we did our trip. Yeah. And it was it was great. And we… Yeah, the only the only thing that was a bit of a challenge was, and we did not foresee this, was the winding roads in Provence were a bit of a challenge for my daughter. She got quite car sick. Yeah.And that’s, I mean, I probably would get carsick if I was sitting in the back. yeah, that’s a problem in a lot of places. Like Provence is like that. If you go to the Alps. Some places it’s going to be windy. The Pyrenees, the Dordogne. Yeah, we have a lot of windy roads. So if your kids are very carsick. Yep. Have a plan. Yeah. And she’s, she’s not generally. But this is. This is. Yeah, they’re very windy. There’s no straight roads. Yeah. And that’s part of the charm. But it also was a bit of a challenge. So we just made sure we stopped a lot. There’s lots of beautiful rest stops, and,you know, had the window down. Yeah. Well, even with the people that we had on the tour in the Dordogne, I could tell that sometimes all the driving in the winding roads. We’re not the happiest time some of our people had. But you know what, she also knew that at the end of wherever we were getting to in that moment, there was going to be something fun to do. So she was great. She didn’t complain. And she’s just, you know, yeah, she’s a trooper. And otherwise, driving in France. Did you do the driving? Or did your husband? My husband did the driving. He likes to drive and in the end, I’m grateful for that because it was a bit… They ended up auto, they ended up accidentally giving us an automatic Oh, which normally is more expensive and harder to get. I know that. Yeah, but there was a mix-up with our booking and, and they ended up giving it to us for the same price as a manual car. So nice. That was, I think that actually helped. Yeah, yeah, it helped with the, you know, so many roundabouts and all that stuff. It helped. But you know,honestly, even if you used to a manual when you’re driving in a different country, and you don’t really… I mean, you don’t know where you’re going, even if you have a GPS, whatever. 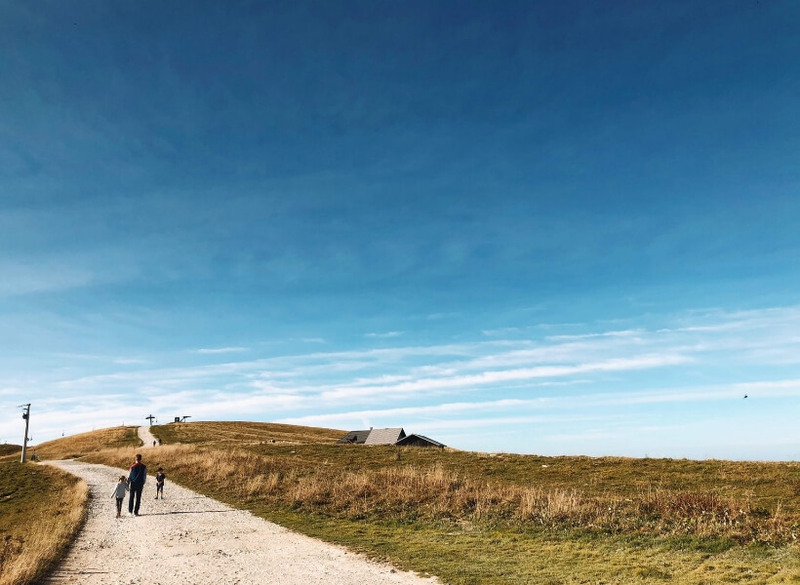 You’re not having to worry about starting up a hill and that sort of thing. Yeah, you know, the, the having the automatic is nice. Yeah, no, driving was great. We only got stuck in tiny at, you know, impossible streets a couple times. But generally it was fine. Do you mean, they were too narrow? GPS will take you places like that. We learned that. Yeah, I learned to ignore our GPS lady. Yes, I have to ignore them sometimes. Yeah. So. But generally, it was great. And the GPS generally was so helpful. So was it one that was integrated with the car? Or did you have data? ,Yeah, sometimes the, the integrated GPS in the car will tell you to do silly things like, you know, get off of this main road and go through this tiny road to, you know, to cut off 500 meters to your trip. And so sometimes you have to learn to just stay on the main… If you’re about to turn into something that looks really narrow and not good. Just keep going, it’ll recalculate. That’s a good tip because we started to just ignore her. We call her British woman. Yeah, we started to ignore her and just follow the road signs. Because, again, you knew you’re going to Roussillon, and she’s telling us to get off at a sign that’s not pointing there. Then we just said, You know what, we know there’s a sign Coming up, we’ll just follow the town sign and we’ll get there. Yeah, I think that’s, that’s smart. Because otherwise, those GPS they, they want to be smarter than you. And then sometimes they put you in silly situations where you’re like, well, this is too narrow, like, not comfortable driving here. Yeah. So no, but generally, it was the driving was great. Okay. Very good. Yeah. All right. Last Words of wisdom? I don’t. 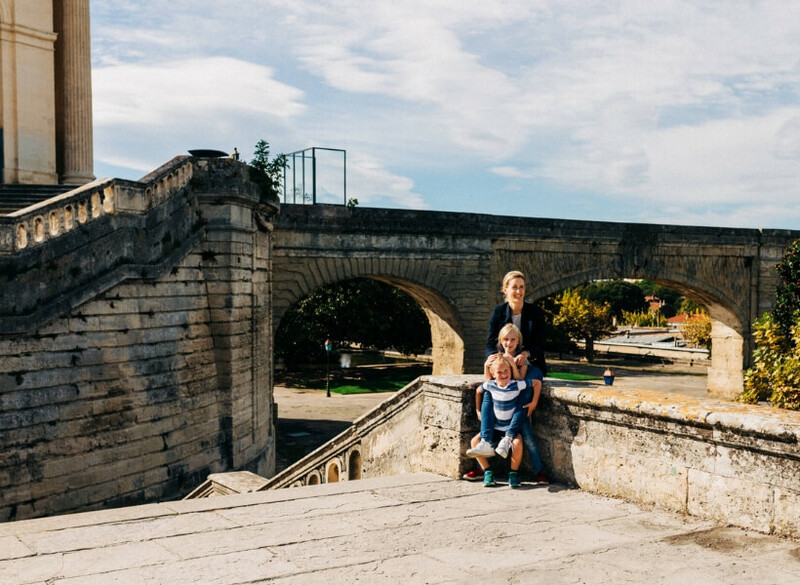 Don’t be afraid to travel with your kids! We had the best… I just feel like we made the best memories. And yeah, my son asked me when we got home, if we can go to France every year. If that’s not endorsement enough I don’t know what is! That’s high praise from the six year old. That’s wonderful. That’s wonderful. Well, I’m gonna sound like a total old lady here. But you know what, enjoy your kids, while while they are little. Because one day they will be all grown and be gone. I know, I’m trying. And that’s why I said to my husband, we have to do trips like this. You know, from now on, like, they it’s important, and they’re, they’re not a whole, they’re not going to be at home forever. So. No, there’s days when your kids you like, Argh, I can’t stand it anymore! This kid is driving me nuts with whatever, you know, not wanting to put shoes on or whatever, something silly like that. But then in the grand scheme of things, you can make such good memories when you’re on vacation. I think it’s I think, I mean, I wouldn’t take a two year old. You know, it just depends on the age of the kid and on how mature your kids are, as well. I mean, you know, you… You’re the parent, you need to decide when it’s the right time to take them and not take them. 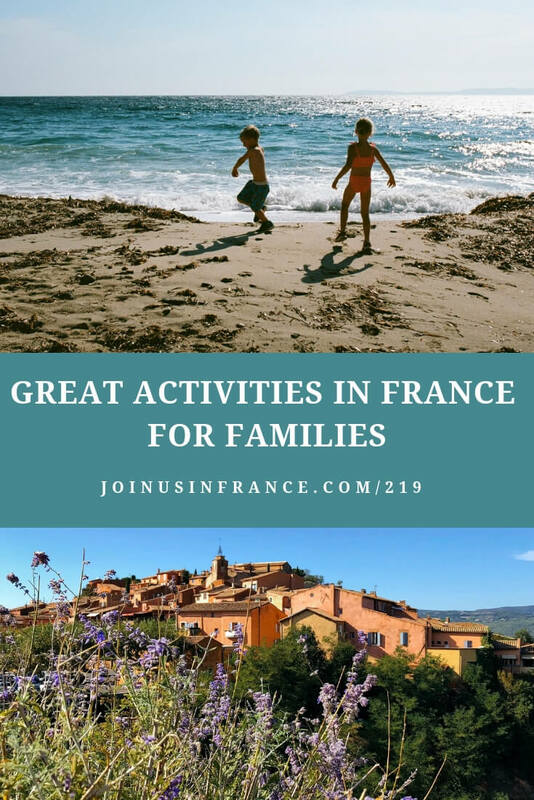 But there are a lot of kids who you will have a great time with them on vacation in France. I think that’s a good point. I don’t think we could have done this trip two years ago. And so I knew that when we started thinking about it, I knew that I was thinking about it, because I knew the kids could do it. And yeah, it’s true. You do have to know your kids. Yeah. Pay attention to that. Jessica, thank you so much! You had some good tips and like I said, I will put… There’s more details of things that you saw and that you did that we didn’t get to, but I’ll put that in the guests notes. So, if people want to explore certain areas more and see what else you did there they’ll have that. That’s great. Thank you any I really appreciate you having me on! Thank you very much for coming on the show. I couldn’t do it without people like you!